It seems in December there was released a very interesting paperback set, that only now showed up in Amazon. According to David Brawn at HarperCollins this set was produced for the export market only and there fore it is logic the sets only showed up very late on Amazon and appeared first on the German retail market. It is now better available and will also be released in Australia on 1/08/2009 and probably will be released globally very soon. 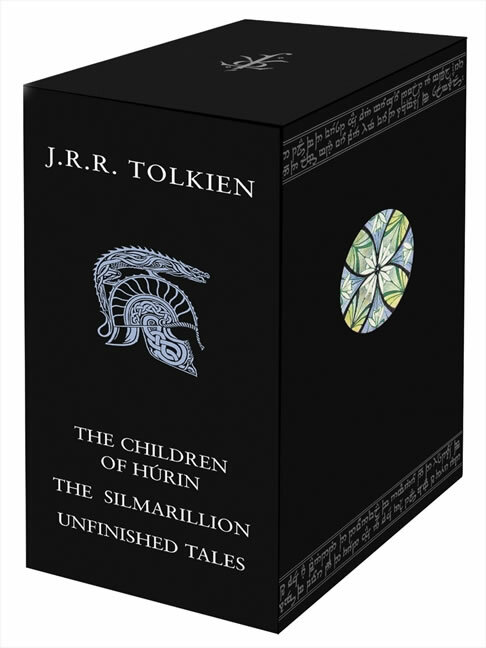 Available for the first time as a set, this boxed collection of paperbacks includes The Silmarillion, Unfinished Tales and the international number one besteller, The Children of Hurin. It is a legendary time long before The Lord of the Rings, and Morgoth, the first Dark Lord, dwells in the vast fortress of Angband in the North; and within the shadow of the fear of Angband, and the war waged by Morgoth against the Elves, the fates of Turin and his sister Nianor will be tragically entwined. Their brief and passionate lives are dominated by the elemental hatred that Morgoth bears them as the children of Hurin, the man who dared to defy him to his face. Against them Morgoth sends his most formidable servant, Glaurung, a powerful spirit in the form of a huge wingless dragon of fire, in an attempt to fulfil the curse of Morgoth, and destroy the children of Hurin. Begun by J.R.R. Tolkien at the end of the First World War, The Children of Hurin became the dominant story in his later work on Middle-earth. But he could not bring it to a final and finished form. In this book Christopher Tolkien has constructed, after long study of the manuscripts, a coherent narrative without any editorial invention. If you already own the black paperback Silmarillion and Unfinished Tales you can also buy the new paperback The Children of Hurin as well, without having to buy the complete set. The forerunner to The Lord of the Rings, The Silmarillion fills in the background which lies behind the more popular work, and gives the earlier history of Middle-earth, introducing some of the key characters. 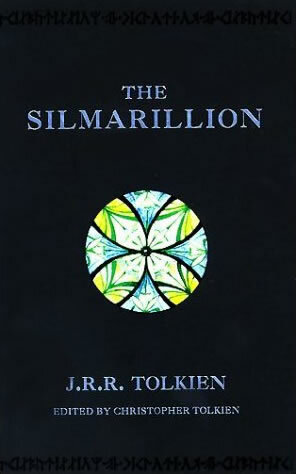 The Silmarillion is an account of the Elder Days, of the First Age of Tolkien's World. It is the ancient drama to which the characters in The Lord of the Rings look back, and in whose events some of them, such as Elrond and Galadriel, took part. The tales of The Silmarillion are set in an age when Morgoth, the first Dark Lord, dwelt in Middle-Earth, and the High Elves made war upon him for the recovery of the Silmarils, the jewels containing the pure light of Valinor. 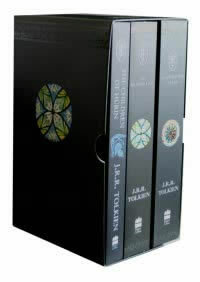 This volume of Tolkiens work is a background to his other more famous works, giving information on Middle Earth's history, peoples and places. 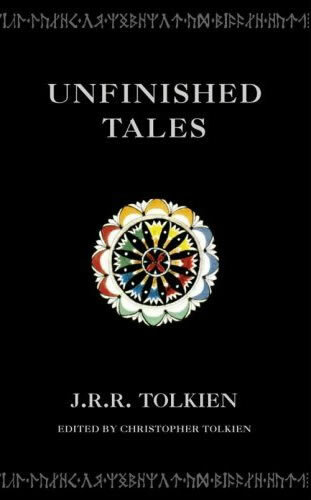 The book was put together from Tolkien's vast quantities of notes and includes writings on subjects such as the history of Galadriel and Celeborn; The Battle of the Fords of Isen; and The Quest of Erebor (or the Hobbit). Well worth reading for those who wish to delve deeper into Tolkien's masterworks. It is a legendary time long before The Lord of the Rings, and Morgoth, the first Dark Lord, dwells in the vast fortress of Angband in the North; and within the shadow of the fear of Angband, and the war waged by Morgoth against the Elves, the fates of Turin and his sister Nianor will be tragically entwined. Their brief and passionate lives are dominated by the elemental hatred that Morgoth bears them as the children of Hurin, the man who dared to defy him to his face. Against them Morgoth sends his most formidable servant, Glaurung, a powerful spirit in the form of a huge wingless dragon of fire, in an attempt to fulfil the curse of Morgoth, and destroy the children of Hurin. Begun by J.R.R. 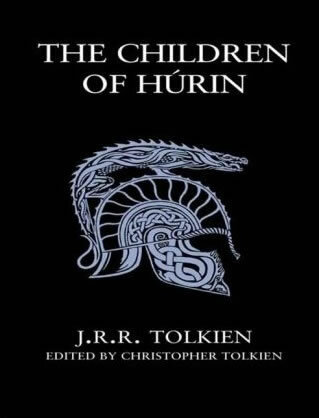 Tolkien at the end of the First World War, The Children of Hurin became the dominant story in his later work on Middle-earth. But he could not bring it to a final and finished form. In this book Christopher Tolkien has constructed, after long study of the manuscripts, a coherent narrative without any editorial invention.